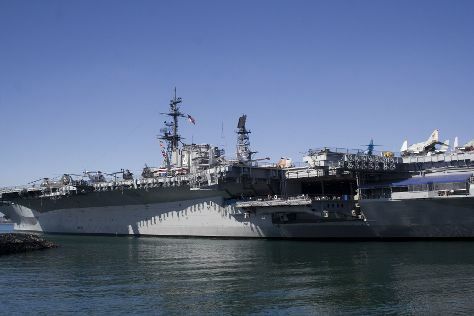 USS Midway Museum and Old Town San Diego State Historic Park are good opportunities to explore the local culture. Get in touch with nature at La Jolla Cove and Torrey Pines State Natural Reserve. Next up on the itinerary: get a taste of the local shopping with Gaslamp Quarter, let little ones run wild at Balboa Park, take in nature's colorful creations at Botanical Building and Lily Pond, and see the interesting displays at San Diego Model Railroad Museum. To see where to stay, maps, more things to do, and more tourist information, read San Diego itinerary planner. Seattle to San Diego is an approximately 4.5-hour flight. You can also drive; or take a bus. Plan for somewhat warmer nights when traveling from Seattle in June since evenings lows in San Diego dip to 63°F. 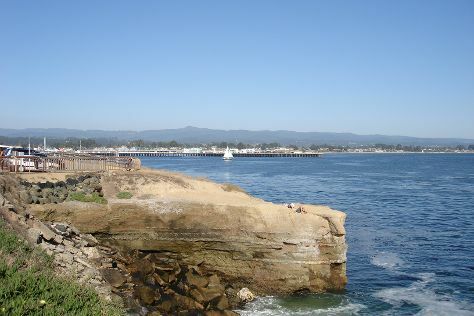 Wrap up your sightseeing by early afternoon on the 16th (Fri) to allow enough time to travel to Santa Cruz. Do some cultural sightseeing at Pacific Grove Oceanview Boulevard and San Carlos Cathedral. Escape the urban bustle at Point Lobos State Reserve and Natural Bridges State Beach. You'll find plenty of places to visit near Santa Cruz: Carmel (Carmel City Beach/Carmel River Beach & The Cheese Shop), Cannery Row (in Monterey) and Mission San Juan Bautista (in San Juan Bautista). For maps, more things to do, where to stay, and other tourist information, use the Santa Cruz trip itinerary planner. Getting from San Diego to Santa Cruz by combination of flight and shuttle takes about 4.5 hours. Other options: drive; or do a combination of train and bus. Plan for a bit cooler nights when traveling from San Diego in June since evenings lows in Santa Cruz dip to 52°F. You'll set off for Cannon Beach on the 20th (Tue). Cannon Beach is a city in Clatsop County, Oregon, United States. 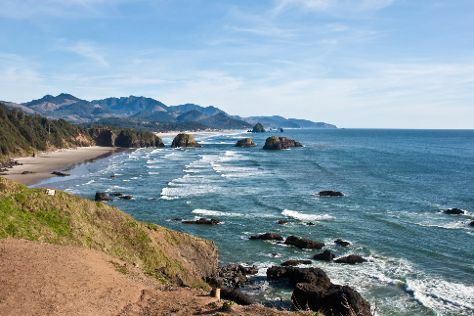 We've included these beaches for you: Cannon Beach and Haystack Rock. Your cultural itinerary includes sights like Fort Clatsop National Memorial and Cape Meares Lighthouse. Step out of Cannon Beach with an excursion to Blue Heron French Cheese Company in Tillamook--about 58 minutes away. There's still lots to do: admire the majestic nature at Ecola State Park and visit a coastal fixture at Tillamook Rock Light. For ratings, maps, more things to do, and other tourist information, read Cannon Beach trip itinerary planner. Do a combination of shuttle, flight, and bus from Santa Cruz to Cannon Beach in 7 hours. Alternatively, you can drive; or take a bus. Traveling from Santa Cruz in June, you will find days in Cannon Beach are little chillier (65°F), and nights are about the same (52°F). Wrap up your sightseeing on the 23rd (Fri) to allow time to drive back home.